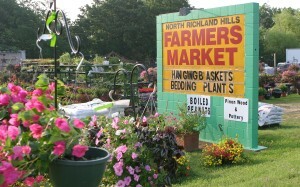 NRH Farmers Market - Welcome! At North Richland Hills Farmers Market, the customer comes first. We take pride in offering the finest customer service to match our freshest produce and plants. The Benefits of shopping at the Farmers Market is you will be buying the Freshest, Highest Quality and premium grade and Products brought in daily. We carry produce year around based on the season availability. Buy Purchasing local with us, you not only support us as a small business, but you help support small local growers and texas farmers. We build a relationships with all our vendors to help us choose the very best products so you have a top quality selection for this market.